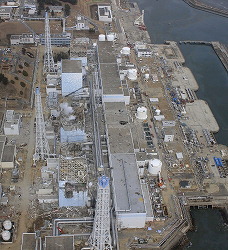 The Hamaoka nuclear power station in Omaezaki, Shizuoka Prefecture.From upper left to lower right: Unit 1, Unit 2, Unit 3, Unit 4, and Unit 5. 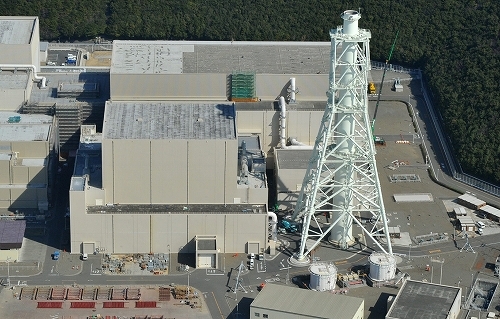 イ、高度５００ｍ、以下同じ。１号機と２号機、右下に３号機。（スクロールしてみるなら）Unit 1, Unit 2, lower right: Unit 3. 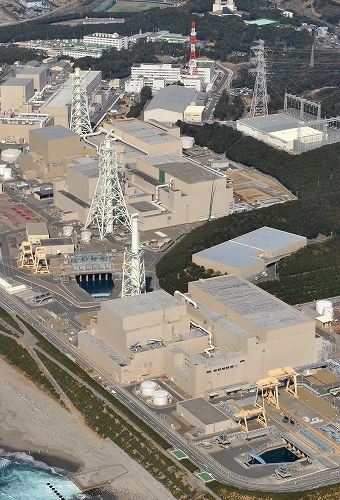 The Hamaoka nuclear power station.From front to back: Unit 1, Unit 2, Unit 3, Unit 4, and Unit 5. 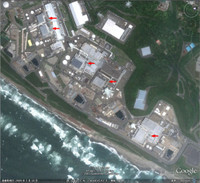 ２、浜岡原発。（手前から）５号機、４号機、３号機＝静岡県御前崎市で２０１１年２月２３日、本社ヘリから西本勝撮影 From front to back: Unit 5, Unit 4, Unit 3. ３、浜岡原発５号機。手前右は３号機放水口、手前左は４号機放水口＝静岡県御前崎市で２０１１年２月２３日、本社ヘリから西本勝撮影 Unit 5. Front right side: Unit 3 drainage port, front left side: Unit 4 drainage port. 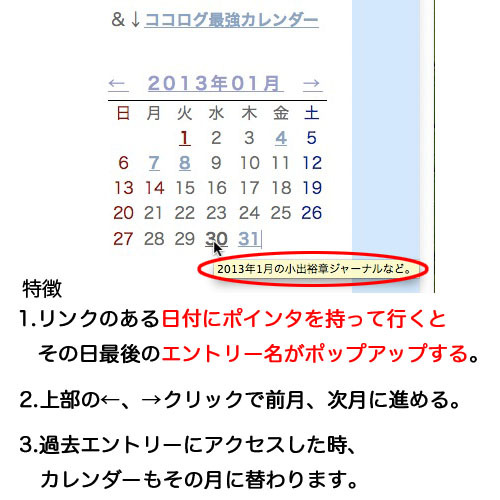 ５、浜岡原発の３号機（左）と４号機＝静岡県御前崎市で２０１１年２月２３日、本社ヘリから西本勝撮影 Left to right: Unit 3, and Unit 4. ６、浜岡原発の３号機（左）と４号機＝静岡県御前崎市で２０１１年２月２３日、本社ヘリから西本勝撮影 Left to right: Unit 3, and Unit 4. ７、浜岡原発(左から）３、４号機＝静岡県御前崎市で２０１０年６月１６日、本社ヘリから梅田麻衣子撮影 Left to right: Unit 3, and Unit 4. ８、浜岡原発(左から)３号機、４号機＝静岡県御前崎市で２０１０年６月１６日、本社ヘリから梅田麻衣子撮影 Left to right: Unit 3, and Unit 4. 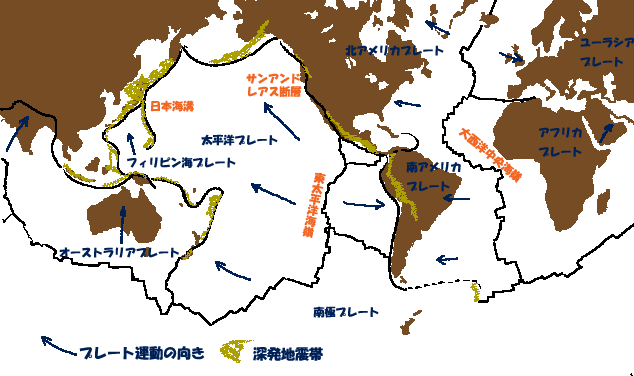 The fourth point is that the Japanese Islands are most unsuitable on earth to build nuclear power plants. 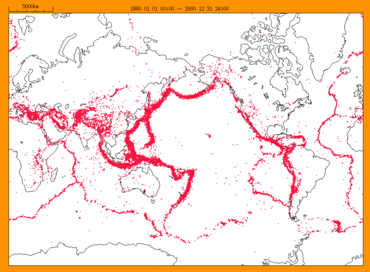 Earthquake plots of the world show that earthquakes occur either on lines or belts. 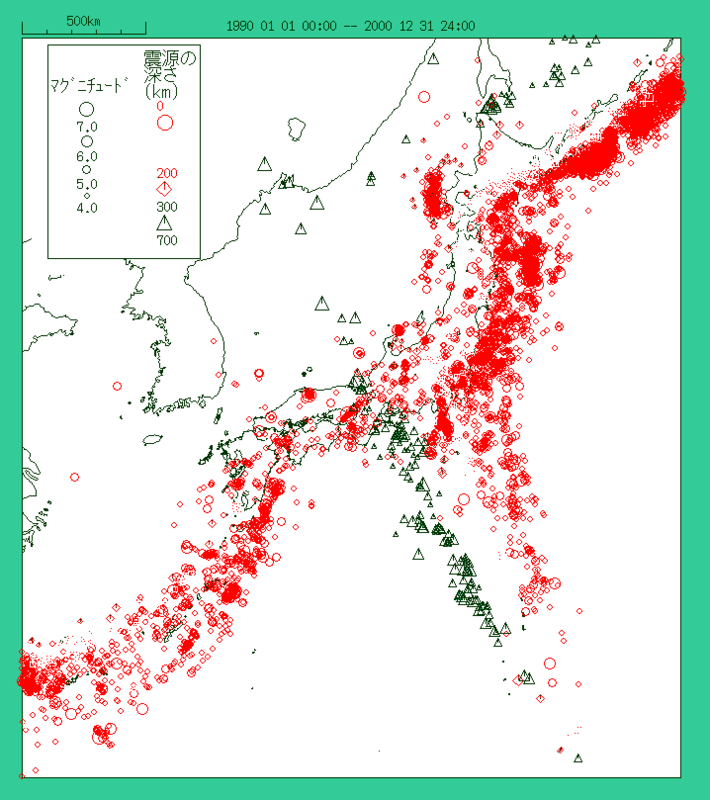 Therefore, the whole Japan is completely covered with belts of earthquake activities. 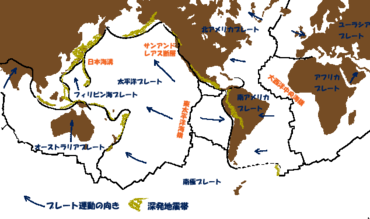 The total area of Japanese territories, territorial waters and exclusive economic zone add up to a little less than 0.3% of the surface of the earth. 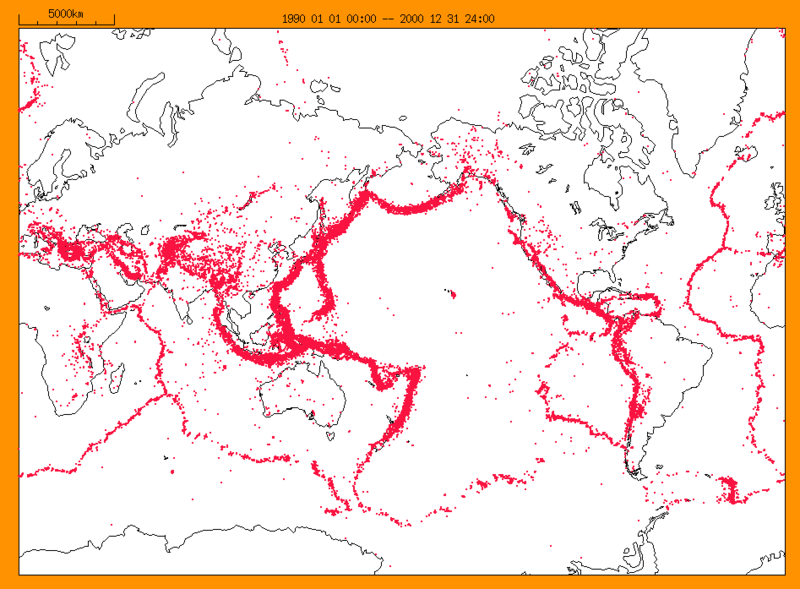 And about 10% of the total earthquakes concentrate within the same area. 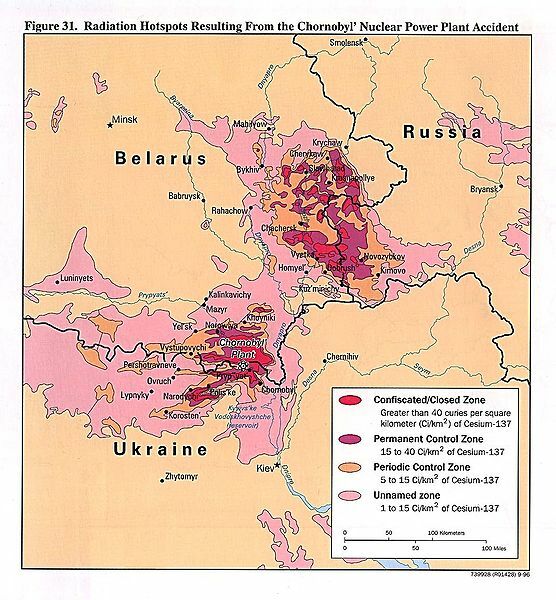 Nuclear power plants should not be built on such places. It is a common sense in Europe and the United States of America, as you can see in conditions to restrict nuclear reactors in Germany and the USA and the fact that certain nuclear power plants were shut down due to small active faults which might be treated like a trash in Japan. 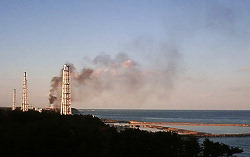 It is so common that French and German people in Japan would never build nuclear power plants in such places like Japan. I think Japan is not normal. 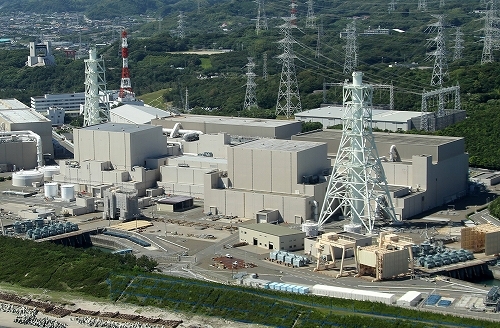 "The Hamaoka Nuclear Power Plant should be stopped," said a participant in a meeting on the state of the economy, where Prime Minister Naoto Kan and Cabinet members were among those present. Banri Kaieda, head of the Ministry of Economy, Trade and Industry (METI) that oversees the power industry, refrained from making a rebuttal. Taken aback by the sudden introduction of the issue, others at the meeting maintained their silence. 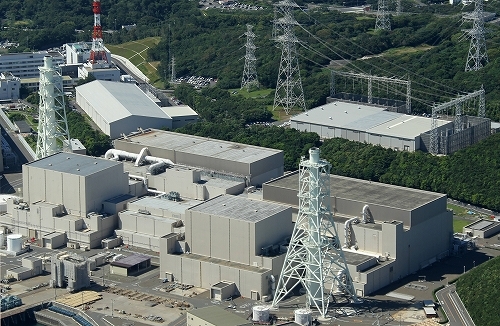 While debate was avoided, the fact that a government official called for the shutdown of the Hamaoka Nuclear Power Plant sent shockwaves through the various ministries and the power industry. "The Hamaoka plant is dangerous." "But there's no legal basis on which to differentiate the Hamaoka plant from the others and stop just that one while others keep running." "Isn't it politicians' job to prevent foreseeable danger?" "If we make any ill-planned moves, we'll provoke local governments, the call to stop the plant will extend to all nuclear power plants, and things will get out of control." We've finally reached a tricky state of affairs where we may see the push to stop the Hamaoka plant spread throughout the administration -- or not. 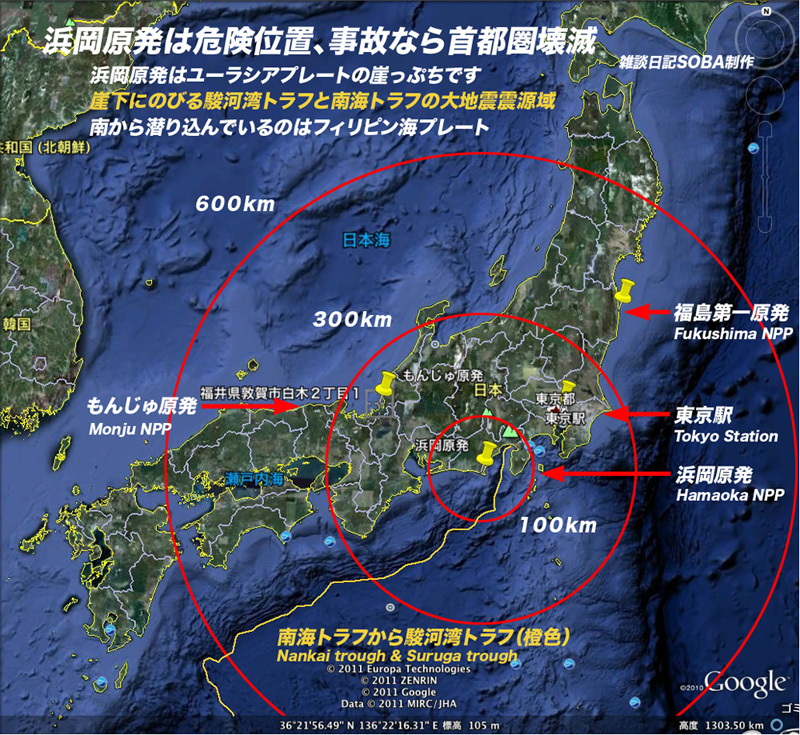 So what exactly is the problem with the Hamaoka Nuclear Power Plant? First, it is located in the Shizuoka Prefecture city of Omaezaki, right atop the predicted epicenter of a great Tokai earthquake that experts have been warning for years will strike. 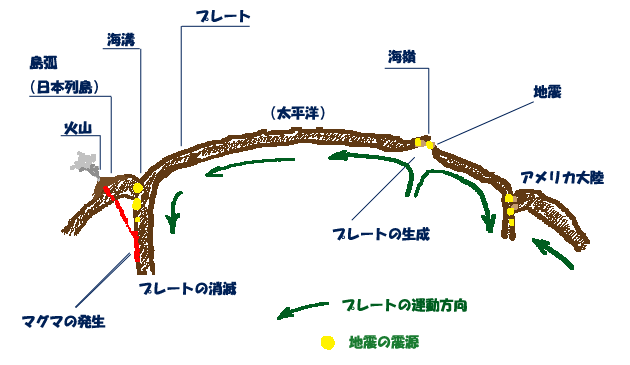 According to Katsuhiko Ishibashi, a seismologist and professor emeritus at Kobe University, the surface of the fault where the quake is predicted to originate is located close to the surface of the ground, where the soil is soft, so if a major quake were to occur, severe ground upheaval cannot be avoided. 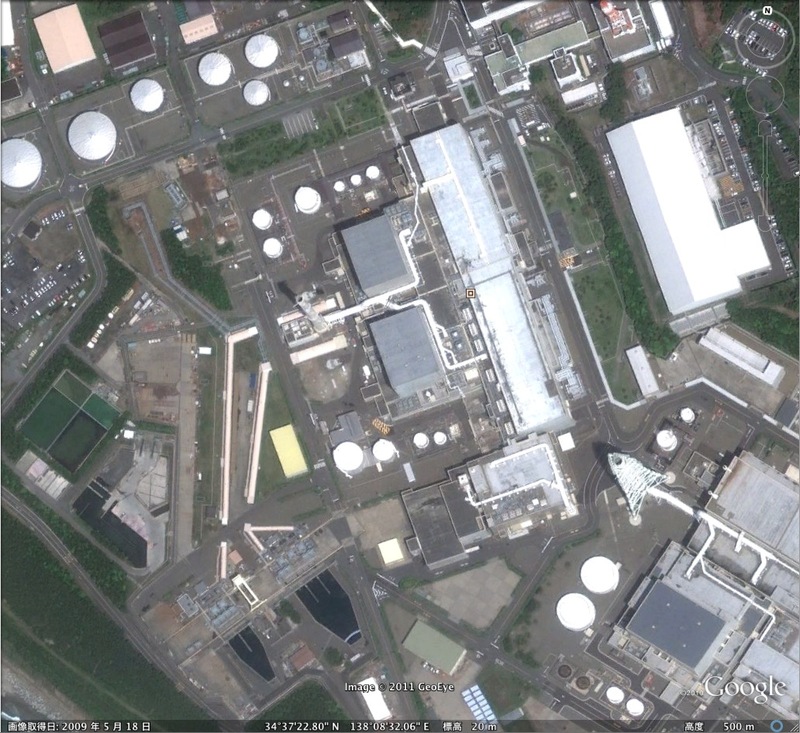 This makes the site of the Hamaoka plant an unusually bad one for a nuclear power station. 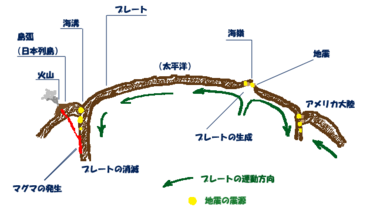 In 2008, the government's Headquarters for Earthquake Research Promotion predicted that there was an 87-percent chance that a magnitude-8 range Tokai earthquake will occur in the next 30 years, and stepped up anti-disaster measures particularly in the Tokai region. 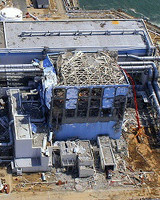 And yet, the Hamaoka plant has continued to run and has even been expanded, coming out victorious in lawsuits that sought to stop its operation, with the judge accepting the argument that the plant is capable of withstanding a magnitude-8 temblor. What about a magnitude-9 quake, then, like the one that struck on March 11? A former chief of the Science and Technology Agency's Atomic Energy Bureau is of the opinion that stopping the Hamaoka plant because of "potential risks" is a shortsighted response. He was quoted in the April 29 issue of the Tokyo Shimbun newspaper as saying that the external power source that controls operations at the Hamaoka plant is far more reliable than the system at the Fukushima No. 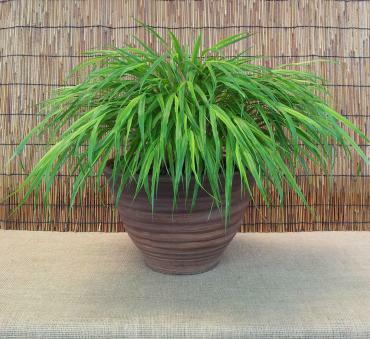 1 plant. Meanwhile, one of two bureaucrats with technical expertise -- not in atomic energy -- interviewed last week criticized the economics-first, safety-second mentality of atomic energy bureaucrats in a surprisingly harsh tone: "All they talk about is the external power source. It's been 50 days since they said that things would improve at Fukushima, too, once external power was restored, but nothing has changed. They're only looking at the facility itself. They lack the imagination and the focus on safety crucial in considering the possibility of nature destroying their systems. Both bureaucrats hold high positions, and while their lamentation of the current administration's lack of leadership was not at all shocking, the fact that both called for the Hamaoka plant to be stopped was surprising indeed. In the past 50 years, five magnitude-9 quakes have rattled the Pacific Rim, of which three have taken place in the past seven years. People try to quell concerns over the Hamaoka plant by pointing out the 10-meter sand dunes on the coast nearby and referring to talk of constructing a new 12-meter breakwater. But the Fukushima plant was overcome by waves between 10 and 20 meters high. 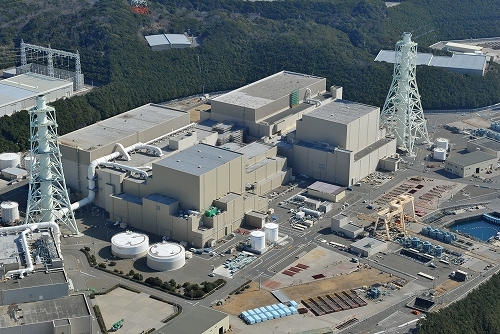 I wrote that Chubu Electric Power Co. should shut down its Hamaoka Nuclear Power Plant in my column on April 18. With no sign that such a thing was about to happen, however, I'd been feeling the need to issue another wake-up call. I then stumbled upon the opportunity to learn a few things from Katsuto Uchihashi, an economic expert who has long been blowing the whistle on nuclear energy. A former Kobe Shimbun economics reporter who has been a freelance journalist for the past 44 years, 78-year-old Uchihashi has a reputation for his razor-sharp critique of Japan's misplaced sense of confidence as an economic and technological power, and the alienation spawned by contemporary capitalism. He is virtually a regular on the NHK current affairs TV program, "Close-up Gendai," having been on the show more often than any other commentator. In 1984, five years after the Three Mile Island accident in the U.S., Uchihashi published the book "Nihon enerugi senso no genba" (At the scene of the Japanese energy war), based on a series he'd written in the weekly magazine Shukan Gendai. There is no record available on how widely the book was read, but it was published again in paperback under the title "Genpatsu e no keisho" (A warning on nuclear power) in 1986, soon after the Chernobyl nuclear disaster in the Soviet Union. It sold 53,000 copies. 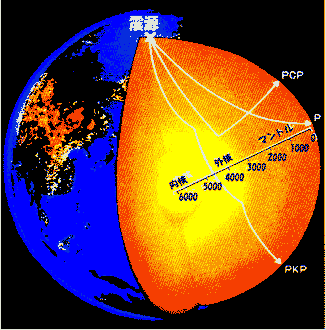 In the subsequent 20-year period, however, during which society's focus turned to stopping global warming and hopes for a nuclear-industry revival -- dubbed "the nuclear renaissance" -- Uchihashi's efforts were all but forgotten. Then last week, just over a month after the massive earthquake and tsunami that struck northeastern Japan crippled a nuclear power plant in Fukushima Prefecture, a partially reprinted edition of the book, renamed "Nihon no genpatsu, doko de machigaetanoka" (Where did Japanese nuclear energy policy go wrong? ), was released. Starting with coverage of the crisis in Fukushima and closing with the argument that the nation is headed to ruin if things continue to go on as they have, the book has the ring of a prophetic text. Uchihashi says that the "safety myth" of nuclear energy that the Japanese public has been fed for years has no basis. The pros and cons of nuclear energy have never been put up to nationwide public debate via the Diet or the media. The issue has been governed by an economic structure whose purpose is the relentless pursuit of profit, and the very parties who should be challenging questionable claims -- including academics and the media -- are knee deep in this web of interests and profit. 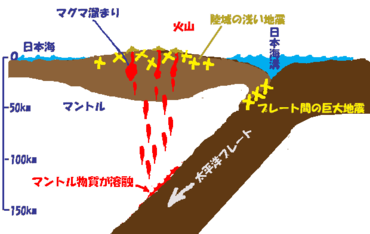 It is this reality, Uchihashi declares, that was exposed by the March 11 disaster. The public is divided on whether nuclear power plants should be preserved and expanded, or scaled back and abolished. According to a Mainichi public opinion poll published in the April 18 morning issue, 40 percent of respondents said that the nation's dependence on nuclear power was unavoidable, while 41 percent said the number of nuclear power plants should cut back, and 13 percent said such plants should be abolished altogether. 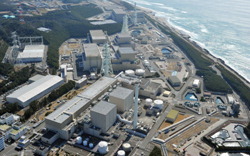 According to an Asahi Shimbun poll published on the same day, which asked respondents what they think should be done with nuclear power plants, 5 percent said that their numbers should increase, 51 percent said the current number should be maintained, 30 percent said they should be scaled back, and 11 percent said they should be eliminated entirely. Japan has been split in two, into a Japan whose people seek continued economic growth and prosperity grounded in nuclear dependence, and another Japan whose people are convinced of the need to depart from that model once and for all. It is the government's role to bridge that divide and coordinate diverging views, but it lacks the knowledge and wisdom needed for a debate that cuts to the crux of national policy. Understandably, the government is currently overwhelmed by the pressing task of bringing the Fukushima plant under control and rebuilding the country's quake- and tsunami-ravaged northeast, but that doesn't mean we can ignore the possibility that another massive earthquake will hit Japan, in the Tokyo metropolitan area or the Tokai region. 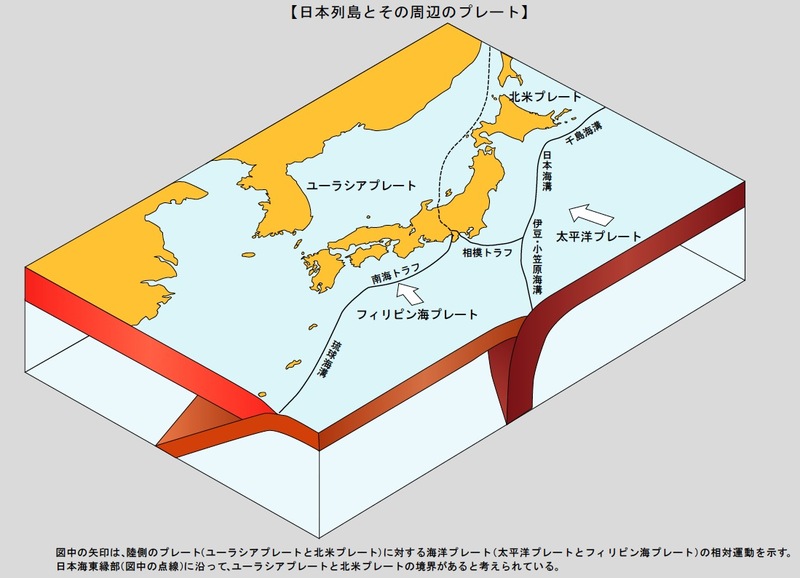 Plus, is there any guarantee that such a temblor will be a magnitude-7 or thereabouts, as the Central Disaster Prevention Council has predicted? In the final pages of "Genpatsu e no keisho," Uchihashi quotes a war historian's analysis of the reason for Japan's defeat in World War II. 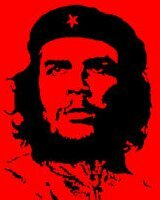 "It originated in the bad habit -- unique to the Japanese government -- of lending its ears only to favorable information while ignoring the bad, but it also exposed the flaws of the Japanese decision-making process in which people gather but do not debate, debate but do not decide ... It takes a long time to make a decision, but once one is reached, it is not easily changed. Japan went about war -- which by nature entails constantly changing circumstances -- in this way, the worst way possible, and found itself lagging behind time and time again, which ultimately led to its demise ..."
Chubu Electric Power Co. should shut down its Hamaoka Nuclear Power Plant. Its security standards no longer hold water, and I want Japan to become a country that can steadily overcome anticipated crises. This is the conclusion I reached after speaking with government officials in Tokyo following a brief tour of the Sanriku and Fukushima districts. 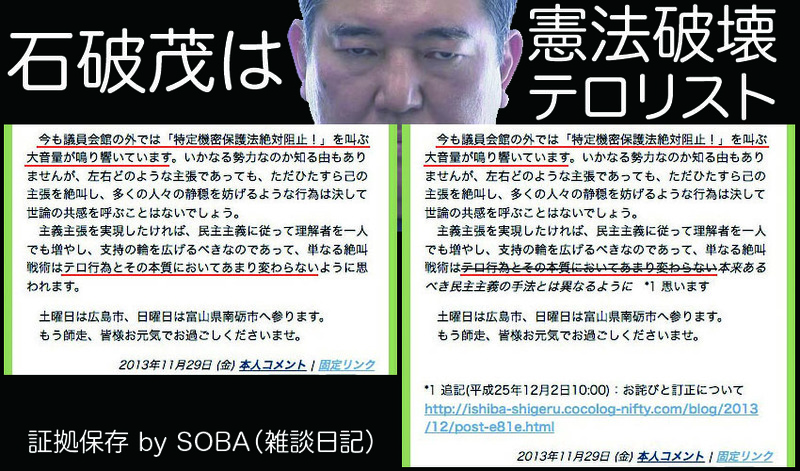 It was former Fukushima Gov. Eisaku Sato, 71, who first turned my attention toward the Hamaoka plant. When I met Sato in the Fukushima Prefecture city of Koriyama, I inquired about the nuclear crisis. "Do you think this region is paying the price for the prosperity of the Tokyo metropolitan area?" I asked. Without answering the question, he replied, "Rather than all that, it's Hamaoka we're worried about. 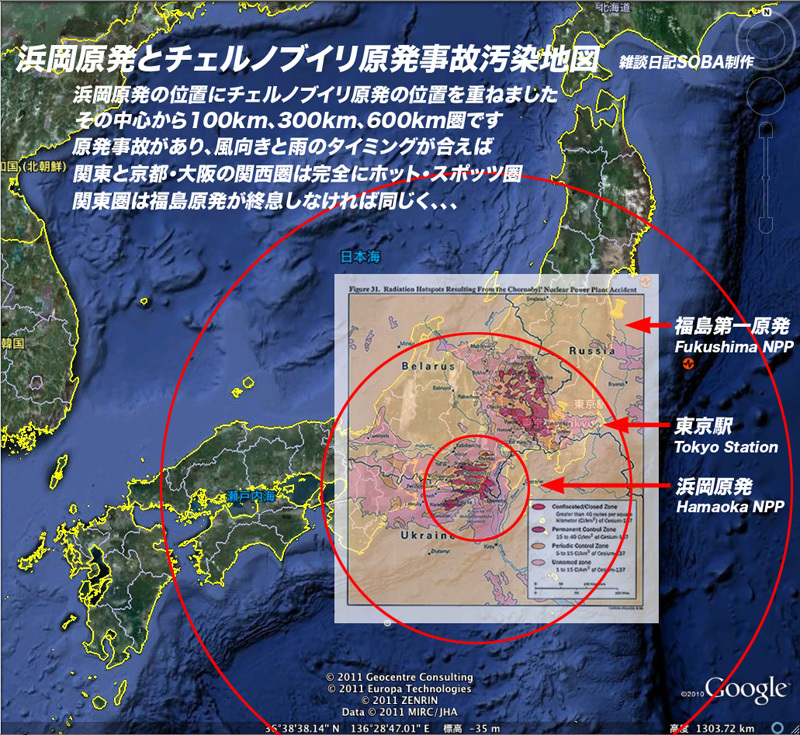 The earthquakes anticipated in the Tokai region and Tokyo still haven't come, right?" Sato served as governor for 18 years, stepping down during his fifth term before being arrested and charged in a bribery case that he is still battling. 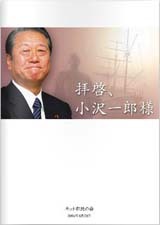 Initially, he was on good terms with the central government and Tokyo Electric Power Co., but he later emerged as an opponent of nuclear power plants. Nevertheless, instead of focusing on grudges during our meeting, he pointed the finger at the inattentiveness of the capital region. 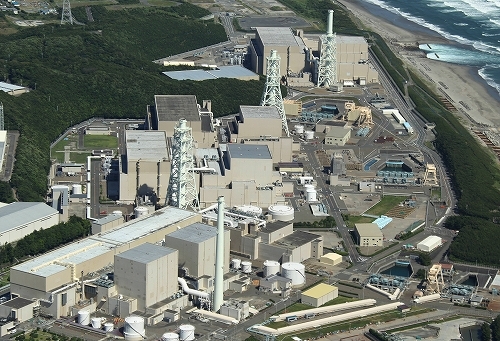 The Hamaoka Nuclear Power Plant is located in Omaezaki, Shizuoka Prefecture. 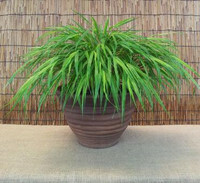 The dangers associated with the plant are common knowledge among nuclear power plant opponents. 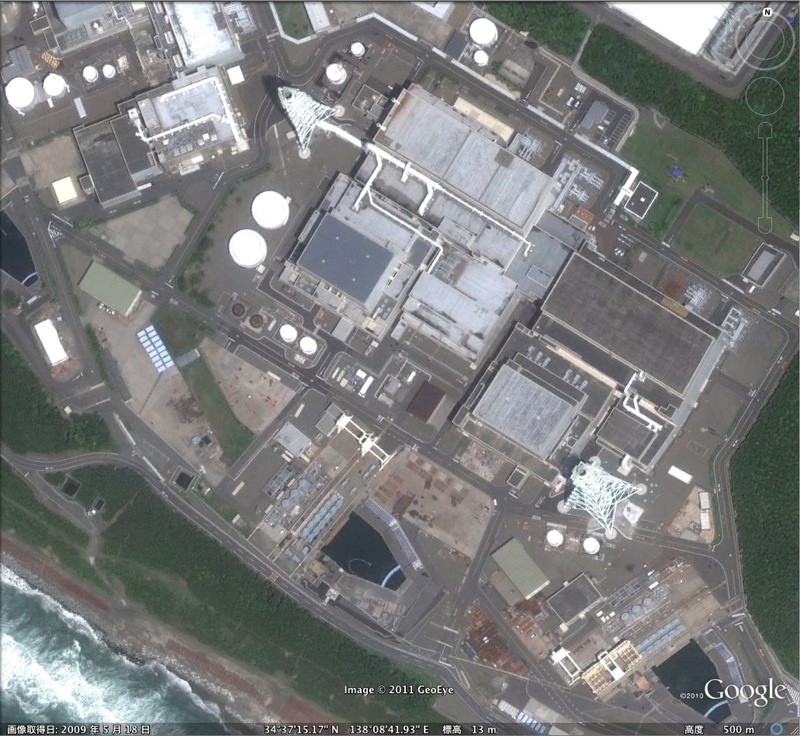 Two of the three reactors in operation are boiling-water reactors -- the same type as those at the crippled Fukushima No. 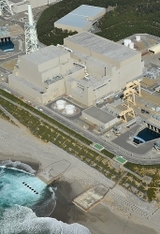 1 Nuclear Power Plant. But the real point of concern is the fact that they sit right above the spot where a massive Tokai region earthquake is predicted to strike. Katsuhiko Ishibashi, 66, an emeritus professor at Kobe University who coined the phrase "genpatsu shinsai," which describes a combined earthquake and nuclear power plant disaster, has previously pointed out the plant's precarious standing. 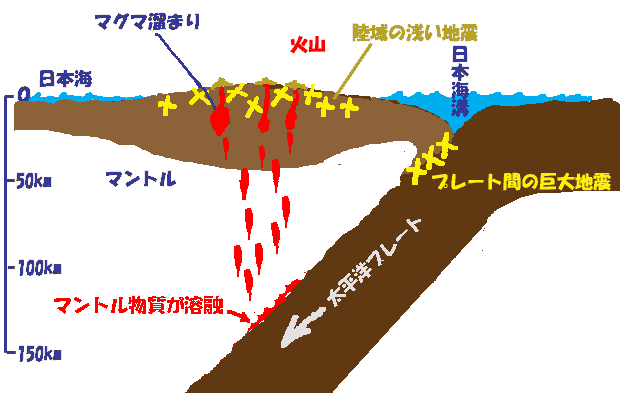 In the May 2011 editions of the monthly magazines "Sekai" and "Chuokoron," he warned there would be severe consequences if a major earthquake were to strike the Hamaoka plant. "In a worst-case scenario ... a radiation cloud would drift over the Tokyo metropolitan area, and over 10 million people would have to evacuate. Japan would lose its capital." "The U.S. military bases at Yokota, Yokosuka, Atsugi and Zama would not be able to function, producing a large global military imbalance," he reportedly told the magazines. Last week I realized that such views were not restricted to educated nuclear power plant opponents. One of my old acquaintances, a government official who has hammered out new growth strategies for the Cabinet including the building of nuclear power plants overseas, shares concerns about the Hamaoka plant. "We have to stop Hamaoka. Could you write about this in the paper?" my acquaintance asked. "This plant must be stopped for the very sake of retaining our other nuclear power plants -- but not too many people lend their ears to such ideas." 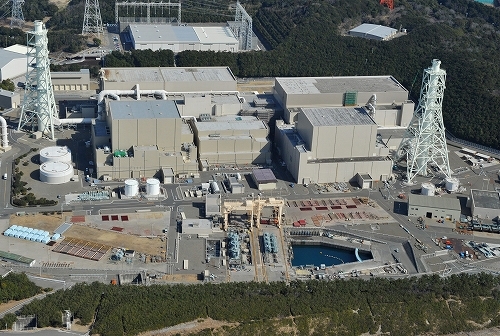 In the wake of the nuclear disaster in Fukushima, Chubu Electric Power Co. announced that it would delay the construction of new reactors at the Hamaoka plant, but the reactors now in operation have been kept running. The power company, which worries about the cost of securing an alternative source of power, does not consider stopping the reactors an option. If this is the case, then the central government should step in to bring the situation under control by halting the operation of the Hamaoka plant, which has become a realistic threat. The government shouldn't be concerned about companies' gains or losses or temporary economic confusion. But this hasn't happened: Nuclear power plant safety checks performed under the government's supervision are superficial and perfunctory. It seems the administration of the ruling Democratic Party of Japan has performed miserably in its handling of the current crisis. But I doubt that the opposition Liberal Democratic Party could have brought the situation under control either. This was an unprecedented disaster, and there is no telling when the situation will settle. 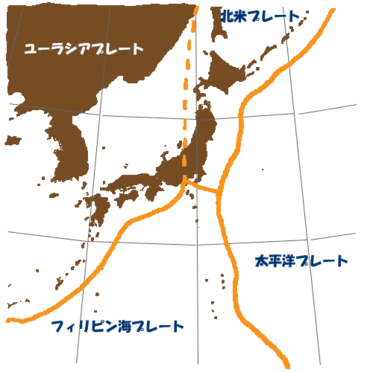 There is no assurance that a massive earthquake and tsunami on the scale of the March 11 disaster will not occur again sometime within the next 1,000 years. 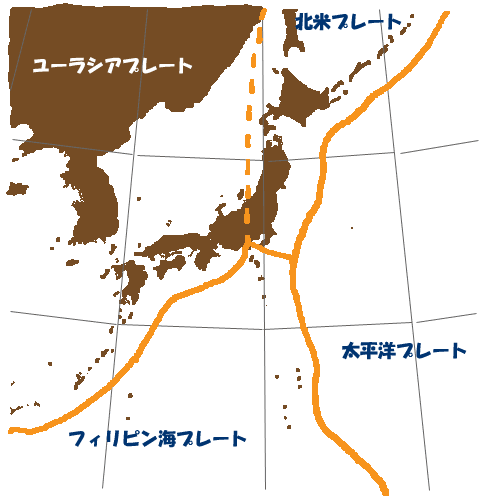 Activity producing changes in the earth's crust seems to be becoming more active around the Japanese archipelago. At the same time, Japan's task of maintaining its energy-intensive economic society, which places top priority on gross domestic product, will likely prove impossible. Now at the Prime Minister's Office, experts are assembling for discussion stemming from comments like, "Civilization is facing questions." To me, this seems a rather carefree approach. The danger has not passed. Naturally the crisis at the Fukushima plant must be brought under control, but the Hamaoka Nuclear Power Plant, which is dangerous by anyone's reckoning, must also be shut down.